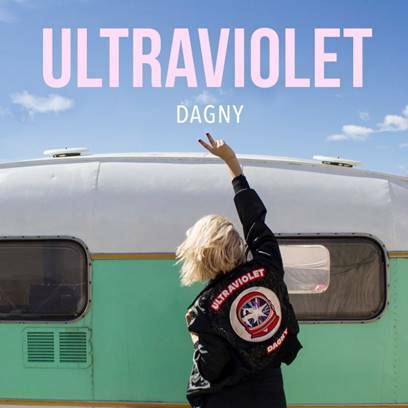 Critically buzzing Norwegian songstress DAGNY releases her much-anticipated debut EP, Ultraviolet [Republic Records], at all digital retailers today. Get it HERE. In addition to her breakout hit “Backbeat,” and its follow-up “Fool’s Gold” featuring BØRNS, Ultraviolet boasts the brand new single “Fight Sleep.” Combining energetic percussion with DAGNY’s inimitable delivery, the track comes to life as another unshakable alternative pop anthem, merging a tribal bounce and a soaring, sweet, and striking howl. Take a listen HERE, and stay tuned for the music video debut soon. Ultraviolet just begins to illuminate the scope of DAGNY’s diverse artistic palette. In order to achieve this vision, she spent time stateside in LA, composing and recording alongside a veritable “dream team” of collaborators such as Tommy English [Børns, Tigertown, Ladyhawke], Dave Bassett [Elle King, Fitz and the Tantrums], Mattman & Robin [Tove Lo, Ellie Goulding, Taylor Swift], and Justin Tranter [Selena Gomez, Justin Bieber, The Knocks, KYGO]. In late 2015, DAGNY delivered an energetic, entrancing, and enigmatic anthem with “Backbeat.” Coupling a handclap stomp, resounding piano, spirited guitar, and an unshakable refrain, “Backbeat” instantly gained worldwide attention. Following its world premiere on Zane Lowe’s Beats 1 show, the Norway-born and London-based songstress landed on multiple “Artist to Watch” lists from Apple, Spotify, and Tidal, with features in INTERVIEW MAGAZINE, NME, NYLON, FORBES and more! To date, the single has over 22 million streams on Spotify. Meanwhile, “Fool’s Gold” featuring BØRNS has quickly racked up nearly 5 million streams on Spotify. DAGNY has also been making a name for herself on the international festival circuit with performances at Isle of Wight Festival, Belladrum,Cornbury, Koppaberg Urban Forest Festival, and more. NME recently named her as one of “The Hottest Brand New Acts At Oslo’s Icy By:Larm Festival.” Along the way, DAGNY has been handpicked to open for legendary artists including Sir Elton John and Sting. Watch the video for DAGNY’s debut single “Backbeat” HERE.